An idea in a basement. Just months ago, that’s where Fadi Dandachi was at with his concept of selling flavoured hummus. Come this April, he’ll be on the Dragon’s Den, standing in front of millionaires on national attention vying for investment dollars. 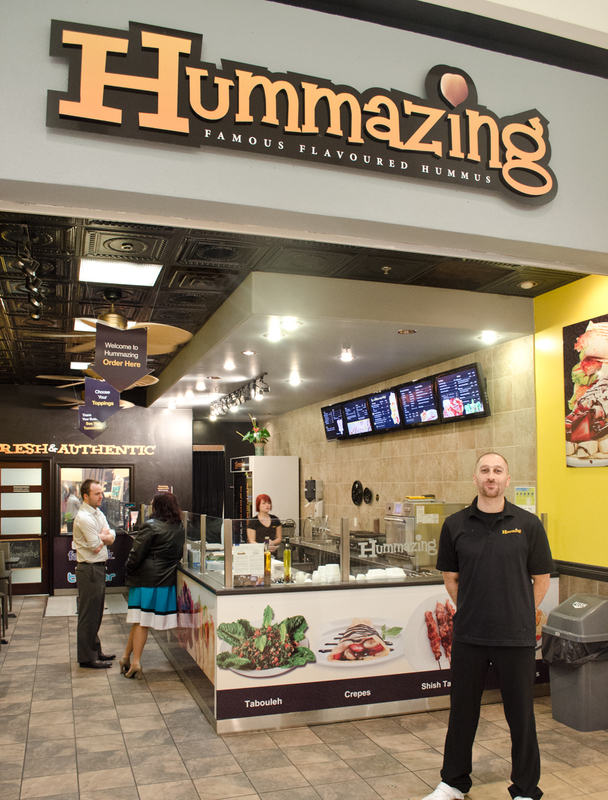 The duo then began to see what the public thought of their product, showcasing their hummus at local festivals as well as an expo at their current location, Devonshire Mall. That’s where it dawned on Fadi that the flavoured hummus can be made into a fast food concept and where Hummazing truly came to life. Fadi went to the Dragon’s Den audition with the mindset he had nothing to lose. Within 2 weeks following the audition, Fadi and Rami were contacted and told they were going to be facing the Dragons in April. They’ve been working with a producer to develop a pitch to the Dragons that is both good for a television audience as well as gets their business message across. Fadi goes on to mention that their goal is to show the Dragons that the Hummazing team has multiple avenues of revenue.